Mesut Ozil is a renowned German footballer. Check out this biography to know about his childhood, family life, achievements and fun facts about him. Mesut Ozil is a renowned German footballer who shot to fame when he was selected as one of the nominees for the ‘Golden Ball Award’ in FIFA World Cup 2010. Mesut also earned acclaim and commendation from all quarters for playing a key role in the final fixture of the 2014 FIFA World Cup in which Germany became the world champions after trouncing Argentina. 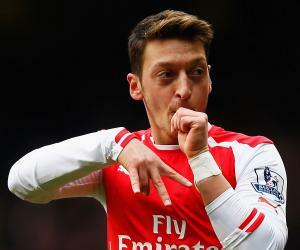 Ozil, who has been part of the German national squad since 2009 presently plays for Arsenal, an English football club. His professional career began to take root when he was picked up as one of team members to represent-‘Schalke’—his native club—in the 2006 edition of Bundesliga, the German national league. After his scintillating performance in the FIFA World Cup 2010 held in South Africa, he was roped in by the celebrated Spanish soccer club Real Madrid to represent the side in club championships. However, in 2013, he was transferred to Arsenal for a whopping fee of £42.5 million. Mesut who plays as a midfielder is noted for his aggressive playing style, and numerous footballers and coaches has seen in him shades of Zinedine Zidane, the legendary French footballer. 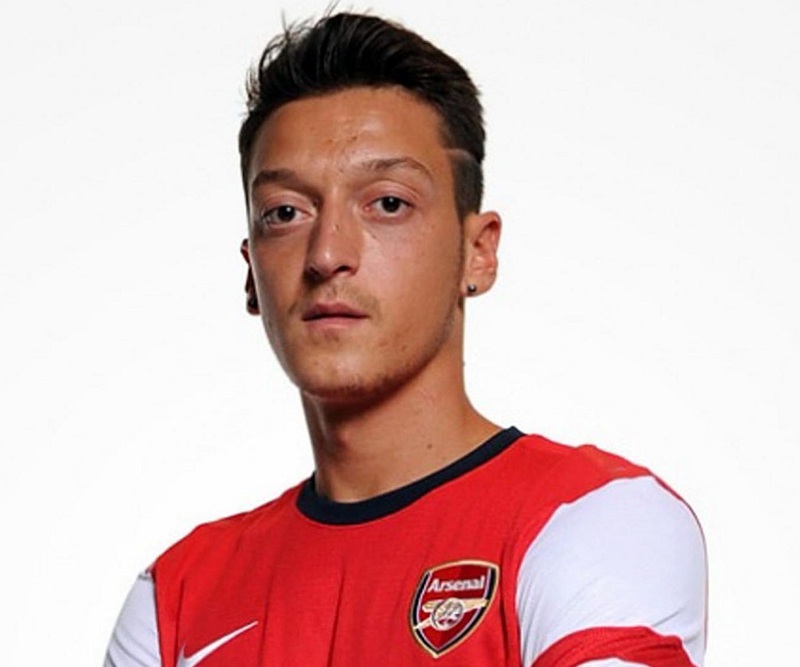 Mesut Ozil was born on 15 October 1988, in Gelsenkirchen, a city in the North Rhine-Westphalia, Germany. As a youngster, he initially played for some local clubs in Gelsenkirchen, and later on moved to Rot-Weiss-Essen, an Essen-based DFB football club that he represented for 5 years. Ozil made it to the Schalke 04’s youth academy in the year 2005. 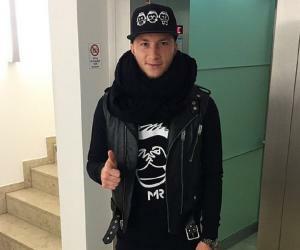 He represented FC Schalke 04 wearing jersey number 17 and played as an attacking midfielder. He turned down a lucrative offer made by Schalke 04 claiming that it was peanuts and eventually shifted to Werder Bremen in 2008. Werder Bremen, a German Football Association club based in the Northwest German state of Bremen, agreed to pay Mesut the steep fees demanded by him. He signed a contract with the club to play for 3 years. He donned jersey no. 11 while representing Werder Bremen. On 26 April 2008 Ozil scored his first goal in a Bundesliga match against Karlsruher SC that enabled Werder Bremen to win the contest 2-1. 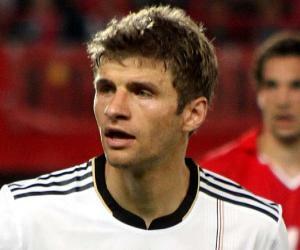 Next year, he scored the only goal against Bayer Leverkusen, helping his team qualify for the 2009 DFB-Pokal. Mesut loomed large on Werder Bremen in the 2009-2010 Bundesliga Season as an influential playmaker setting up numerous goals for his team. He scored his 100th goal in Bundesliga while playing against Schalke 04, the club from where he started his professional football career. Werder Bremen was successful in reaching the DFB-Pokal finals in 2010 largely due to Ozil’s contributions. 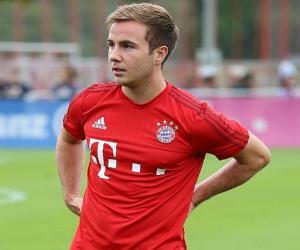 However, Bayern Munich proved too good for Werder Bremen as the latter lost the match by a margin of 4 goals to nil. Ozil was selected to represent the German national squad in the 2010 FIFA World Cup where his performance stood out. His scintillating showing attracted the attention of the managers and coaches of Europe’s most sought after football clubs including Manchester United, Real Madrid, Arsenal, and Barcelona. On August 22 2010, Mesut Ozil moved to Real Madrid from Werder Bremen for a massive transfer fee estimated to be about €15 million. 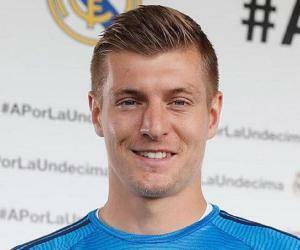 He debuted for Real Madrid against Hercules which his team won convincingly. Ozil played the debut La Liga match for Real Madrid against Mallorca which ended in a tie. Ozil also played his first Champions League match for the illustrious Spanish club on 15 September 2010, in which he assisted Gonzalo Higuain in scoring a goal against Ajax. He ended the season on a high note with 25 assists to his credit, more than any other footballer participating in the main European club competitions for that season. Mesut started taking the field by sporting jersey number 10 for Real Madrid for the entire 2011-12 season, clearly indicating club manager Jose Mourinho’s intentions to tap his playmaking skills. His debut goal in this season was scored against Barcelona in the 1st round of the two-legged 2011 Supercopa de Espana. With a total of 17 assists, Ozil was yet again placed at the top of the assists chart of La Liga in the 2011-12 Season. The La Liga title was claimed by Real Madrid which was the club’s 32nd and Mesut had a significant role to play in it. Mezil was shortlisted for the ‘FIFA Ballon d’Or Award’ as well as nominated for the ‘UEFA Best Player in Europe Award’ owing to his excellent performance as a playmaker both for Germany and Real Madrid. For the 2012-13 Season Mesut yet again demonstrated his playmaking ability on several occasions, especially assisting his teammate Christian Ronaldo to score goals. However, Real Madrid could only win the Supercopa de Espana trophy in the ongoing season, Ozil’s 26 assists notwithstanding. After an immensely successful 3-year stint with Real Madrid, Mesut was loaned out to Arsenal for a transfer fee of £42.5 million, which made him the most expensive German footballer of all time. He played as a center-forward for Arsenal and put on the number 11 jersey. Ozil’s first match as an Arsenal player was against Sunderland where he assisted teammate Olivier Giroud score a goal, and the final score went in favor of Arsenal, 3-1. His first goal for ‘The Gunners’ came against the Italian club, Napoli, during the Champions League which the former won. Mesut played a total of 40 matches in the first season for Arsenal scoring 7 goals and a total of 13 assists. Ozil once again emerged as a strong contender for FIFA Ballon d’Or Award and was also voted as one of the players for UEFA Team of the Year. In the 2014 FIFA World Cup, Mesut Ozil played a pivotal role in Germany’s World Cup victory. He scored the decisive goal in the round of 16 victory over Algeria and provided an assist for Sami Khedira in Germany's 7–1 semi-final win over Brazil. In the 2014 FIFA World Cup final against Argentina, played 120 minutes before being replaced by Per Mertesacker. Germany eventually won the match 1-0. Ozil scored 5 goals and helped set up 7 goals in the 31 fixtures that he played for Arsenal during the 2014-15 Season. He put up a good show in the final of the 2015 FA Cup in which Arsenal handed a crushing defeat to Aston Villa. Mesut scored his initial goal in the 2015-16 Season against Manchester United which Arsenal went on to win by 3-0. His 3rd season with Arsenal came to a close with 20 assists and 8 goals which earned him the award for being the ‘Arsenal Player of the Season’. Mesut was part of the 11-member Werder Bremen squad that won the 2008-09 DFB-Pokal silverware. He played for Real Madrid in the finals of 2011-12 La Liga, 2010-11 Copa del Rey, and 2012 Supercopa de Espana which Spanish club won. Ozil was also instrumental in helping Arsenal lift the FA Cup twice in a row; in 2013-14 and 2014-15 and again in 2016-17. Mesut has won numerous awards and also has been nominated for several honors. He bagged the ‘German Player of the Year Award’ three times in a row, in 2011, 2012, 2013, and successively in 2015 and 2016. He was nominated for the 2010 FIFA World Cup Golden Ball Award. Mesut Ozil is a German Turk and a Muslim by faith. Ozil began dating Mandy Capristo, a singer by profession, from 2013 but their relationship came to an end in 2014 after it was reported that he was seeing another woman. Nevertheless, he resumed his relationship with Mandy in November 2015. Mesut is also renowned for his philanthropic bent of mind having donated large sums to numerous charitable organizations. He contributed his entire 2014 World Cup prize money (about USD 5, 00, 000) towards the treatment of approximately 23 Brazilian kids.